Major Nelson has posted an update for September’s Xbox Live schedule, and the long-awaited port of Sonic Adventure to Microsoft’s service is scheduled for release on September 15 for 800 Microsoft Points, which is roughly $10 or so. The port is upscaled–that is, not in widescreen–and is based on the PC version of the game rather than the Dreamcast release. Still, it’s a pretty good deal if you don’t have a copy of the game on another system. Also, the other Sonic Xbox 360 game coming up, which requires you to flail around like a goon, was priced today at $49.99, so it’s also a bargain in terms of dignity. 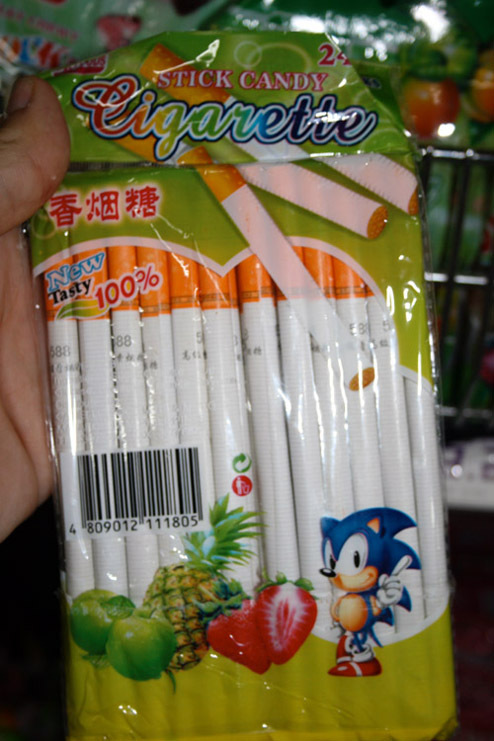 What’s baffling, though, is the recent discovery by forums member ::CMG (UTOPIA):: of Sonic candy cigarettes. I suppose he’s sticking to his original message of not smoking if they can’t be smoked, right? At least they are tasty 100%. Sundays With Scratch & Grounder: Cereal! 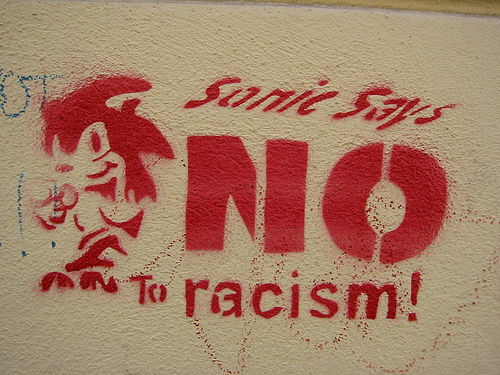 Every Sunday here at Sonic Retro, we’re takin’ ovah! We’re gonna be givin’ ya good advice and you’re gonna take it and LIKE it, ya big buncha dummies! 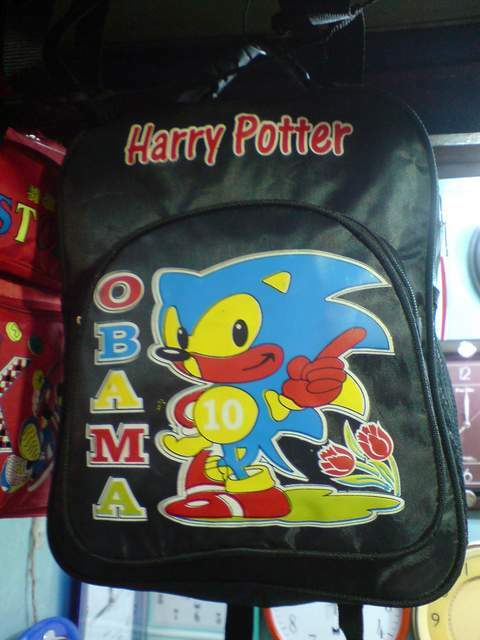 We’ve all played Sonic Heroes at one point. I’m sure at that same point we all heard the music in the game too! What you may have not known is that more than one Sonic Heroes prototype has surfaced to the net at some point. The differences ranged from minor to relatively major, but one part of the game in particular that recieved some interesting changes were the music. Now if you know me, you know this is totally my thing, and I was pretty excited by some of the changes I heard. Here are three of the tracks I found the most interesting of them all. So, I was browsing NicoNicoDouga earlier today looking for some specific footage that I ultimately was not able to find. That’s OK, though. What I did find was much more awesome. NicoNico user まっくろくろいの has made a series of videos involving Sega hardware and puns, which, of course, require hardware modifications to fulfill. The Saturn mouse becomes…a mouse. Saturns attempt to fly. Sense fails to be made. You can catch several more of these videos uploaded to YouTube here or, if you have a NicoNico account, can see the full set here. 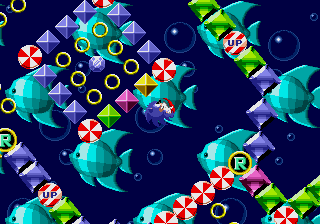 For many players, the Special Stages of Sonic 1 can be particularly frustrating for a number of different reasons–rotation, steering, and jumping are the most common reasons listed. Forum member Mercury, best known for the Sonic Physics Guide and Sonic: The One Ring, examined the stages and realized that Special Stages don’t have the variable jump height present in the rest of the game. He investigated and found there was an unused routine for reducing Sonic’s jump height in the Special Stages within the code of the game. Using the power of trigonometry, he repaired and enabled the routine, leading to a fix that combines the X and Y speed using cos and sin to find how fast Sonic’s moving upward at the current angle in a Special Stage. It compares this combined speed with the jump release speed ($400) and if it’s greater, then it uses similar code to the normal jump to make Sonic move at $400 in the current angle. Simple. You can read more about this fix and download a patched copy of the game at the Sonic Retro forums. 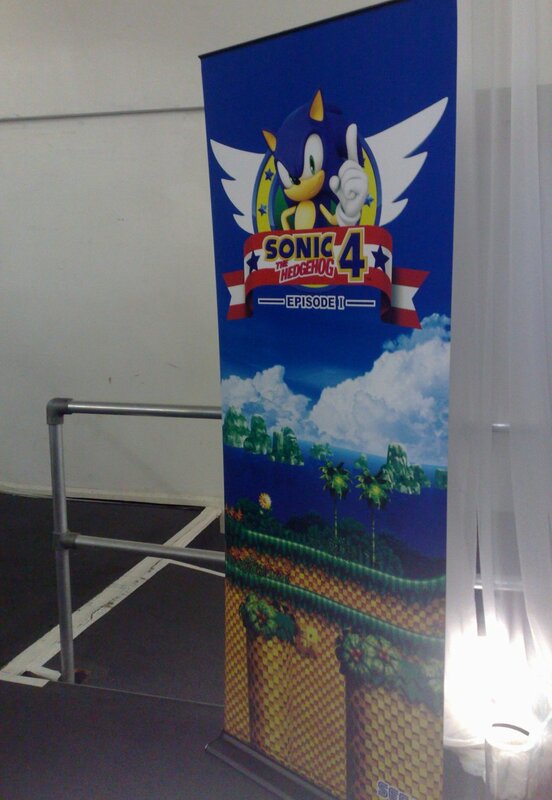 When browsing through the forums earlier, I noticed a new link in forum member Mercury‘s signature where he linked to a post on his blog reviewing several of the games presented at this year’s Sonic Amateur Games Expo. 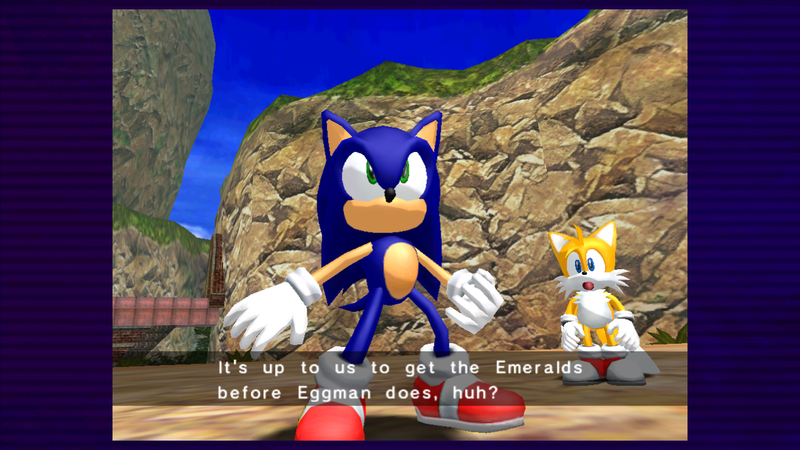 Among the games he gave feedback on, he praised one heavily in particular–Sonic Axiom, one of the later entries into the expo, having appeared on the second day of the event as opposed to on its premier; as a result, I–and assumedly others–ended up missing out on this little underrated gem. By his suggestion, I decided to give it a shot. 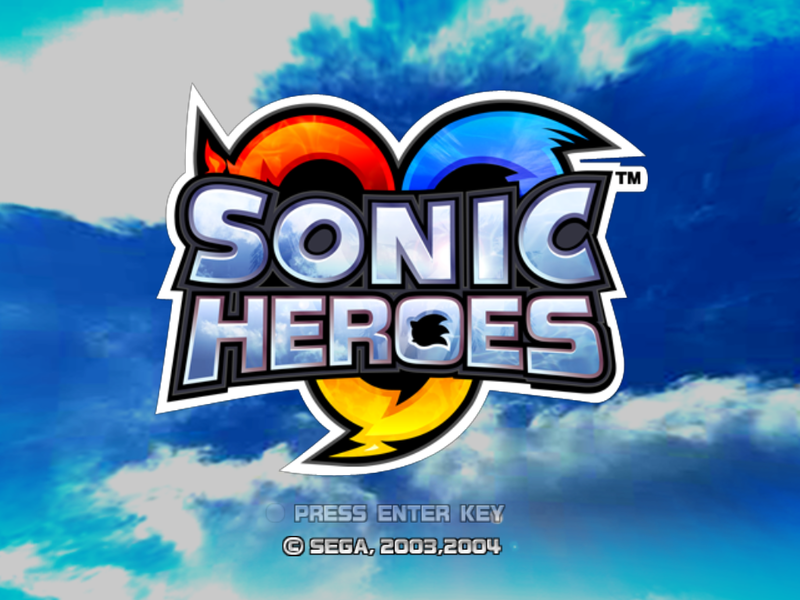 What I found after a few hours of play was an extremely solid fan game that, despite its issues, was graphically stunning (despite its re-use of existing Sonic level graphics), fun to play and–most importantly–complete. Or, well, as complete as it can get as a work in progress. 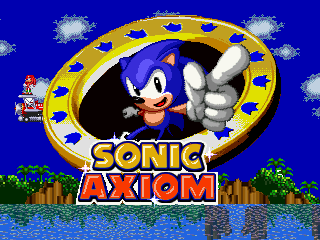 Featuring 5 fully playable levels, some pretty great level design, fantastic music choices ranging from remixes to original music, and a mix of familiar and innovative level tropes and gimmicks, Sonic Axiom does what few fan games seem to accomplish these days–pure, completely unadulterated fun, totally in the Sonic spirit. The abundance of one-level demos in the history of the Sonic fan-gaming scene has proven to be both underwhelming and tiring over the years; Axiom delivers by offering the experience of a full game despite not having even reached completion yet! I felt that I could fully appreciate the game having been given more than a fair taste of what its creators had to offer. While there are a few things that hold the game back–the use of the outdated and rather wonky Sonic Worlds engine, the poor performance of some of the additional level elements, the natural performance and space hogging of MMF/Game Maker games–Sonic Axiom provides a Sonic experience that many of us haven’t seen in a long, long time. Check out Axiom‘s SAGE booth this year here, where you can download a playable demo of the game. So the game that the vast majority of the SoS-goers were there to play was Sonic 4. Now, a few in the scene have already played it thanks to the leak but I’m willing to bet that most haven’t due to the J-Tag requirement, so for the vast majority at the show it was their first playthrough, it was certainly mine. And after the wait in the queue, the demo pods came within reach and I finally got to see if the internet butthurt over this simple downloadable video game had been warranted.